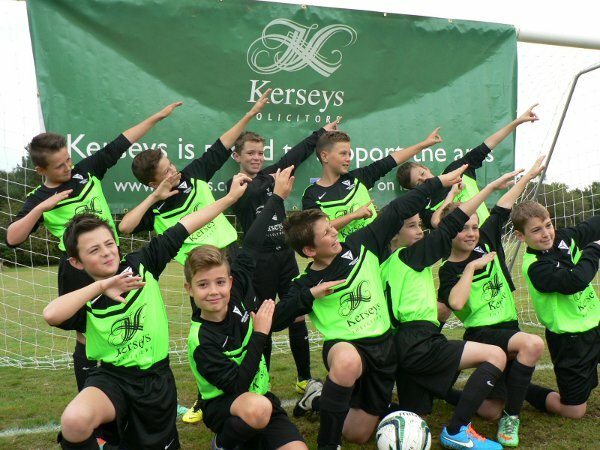 Kerseys Solicitor has sponsored a youth team’s new football kit. 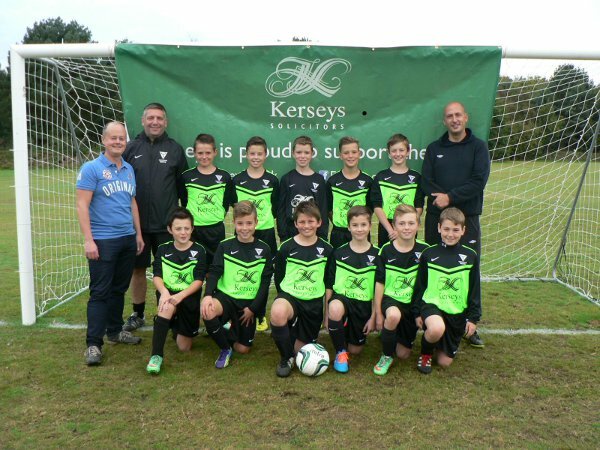 Kerseys has kitted out Martlesham Youth Football Club (MYFC) Lightnings Under 11s. The team, which play their home games at Martlesham Police headquarters, needed a new kit after they moved from playing seven aside to nine – and grew out of their old kits. Justin Boyd, who is the Accounts Manager at Kerseys and has two sons who play for Martlesham, said the team were delighted. 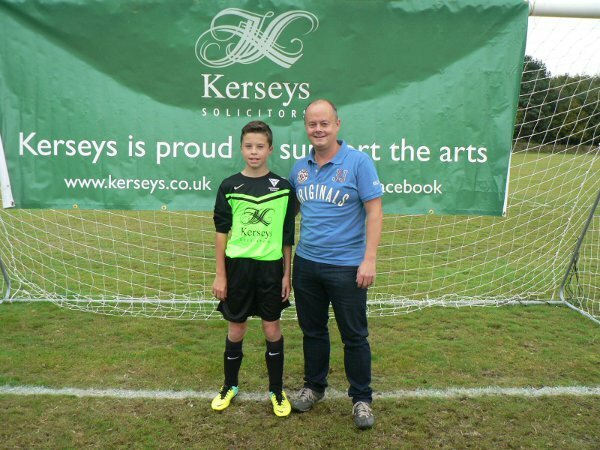 He said: “I was delighted as a representative of Kerseys to provide these fantastic new kits. It has already helped to boost the team’s morale and give them a new identity as they move up a level. Justin’s son, Owen, plays for the Under 11s team and his son, Jack, plays for the Under 10s. MYFC has at least one team in every age group from U6s to U16s and they are traditionally named after planes which the RAF used to fly from Martlesham. MYFC Under 11s remain unbeaten this season and are sitting top of division 1 of the South Suffolk Youth League top division for their age group. The team have had a great start to the season. They have played seven games, including two cup games — scoring 56 goals, whilst only conceding four goals. Manager Steve Whelan added: “We are absolutely delighted with the sponsorship from Kerseys.